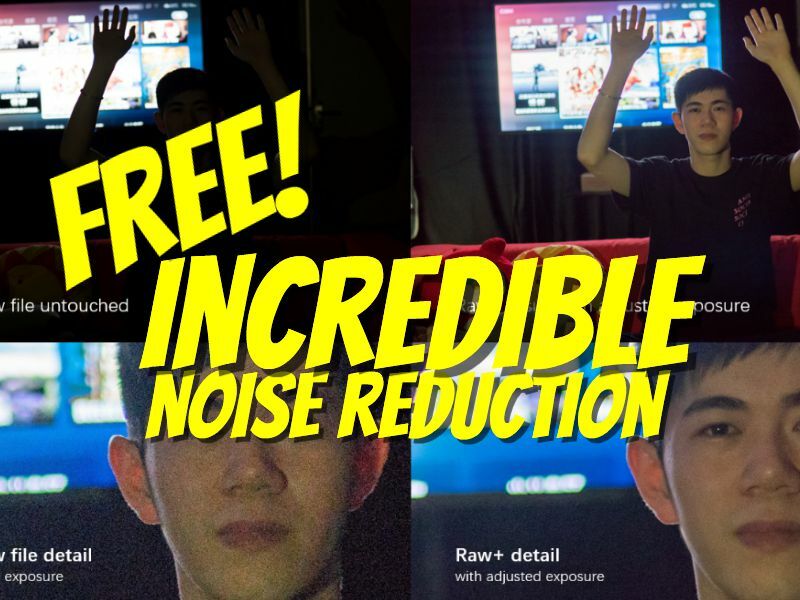 How would you like to get an ISO 1600 shot with less noise than an ISO 100 photo from the same camera? This FREE software lets you do that with its an advanced type of image stacking that doesn’t require a tripod! BTW it works with 360 photos and non-360 photos. First, here’s a sample. On the left side is an ISO 100 photo that was exposed for the highlights. When the shadows were boosted in post processing, you can see there’s noise, as expected. On the right is a shot at ISO 1600, also exposed for the highlights, and the shadows also boosted in post-processing. 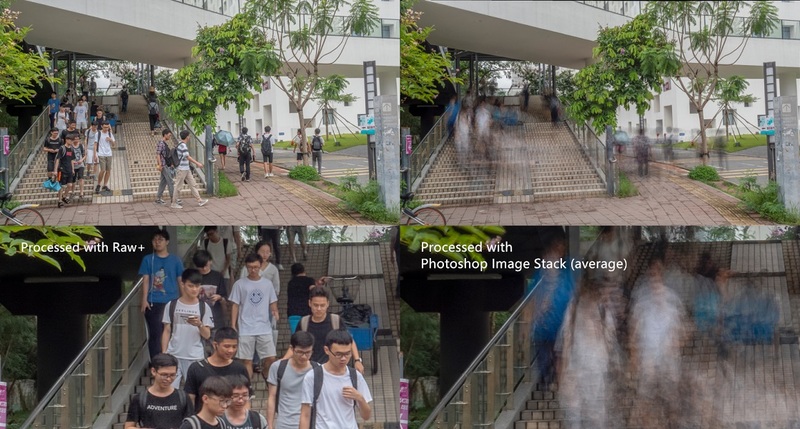 As you can see the ISO 100 has more noise, and has motion blur. The ISO 1600 shot has less noise and has no motion blur because it was shot at a higher shutter speed. How was this possible? 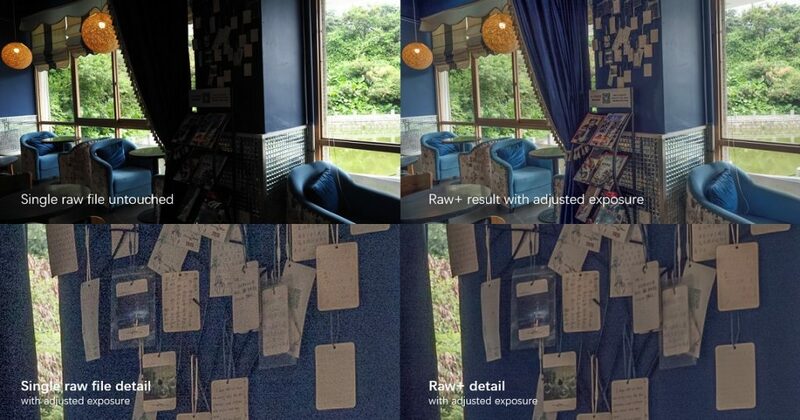 Through Kandao’s Raw+ software, which uses an advanced type of image stacking. Update: Here is a video about this new software from my friend Hugh Hou from CreatorUp! 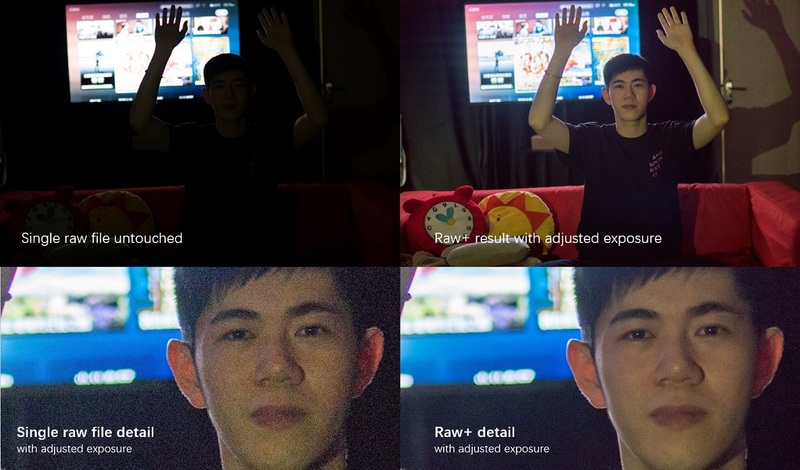 This technology has many uses, including an alternative way to do HDR, by exposing for the highlights and then boosting the shadows in post-processing. Normally, doing this increases the noise in the shadows, but with Raw+, even the shadow areas will not have too much noise. The advantage of this method compared to a traditional HDR with bracketing is that it can be shot handheld. The app does not work. It crashes every time when one uploads the images on MacOS. Many years ago there was Photoacute not only with averaging but with superresolution. Hi Dmitry. Did you try high ISO files? 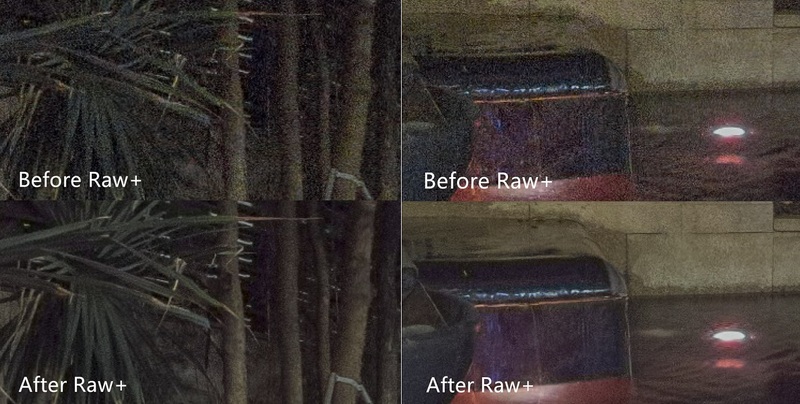 Or files that were intentionally underexposed (to preserve highlights) and then exposure was later increased in post processing? Insta360 Studio for One X tutorial (UPDATED 2019): convert 360 video into keyframed non-360 video with this FREE overcapture app for Windows or Mac — now you can SAVE projects!